!!! 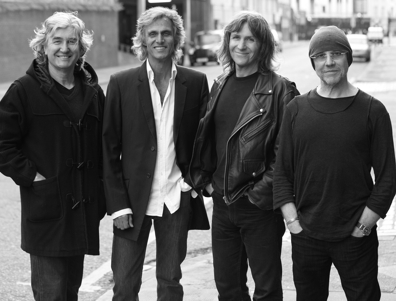 Chris White is part of 'The Straits'!!! A one-off charity event in aid of The Lord's Taverners, giving young people a sporting chance. Former members of Dire Straits plus some very special guests will come together on May 22nd as The Straits for a special one off Charity gig at the Royal Albert Hall. 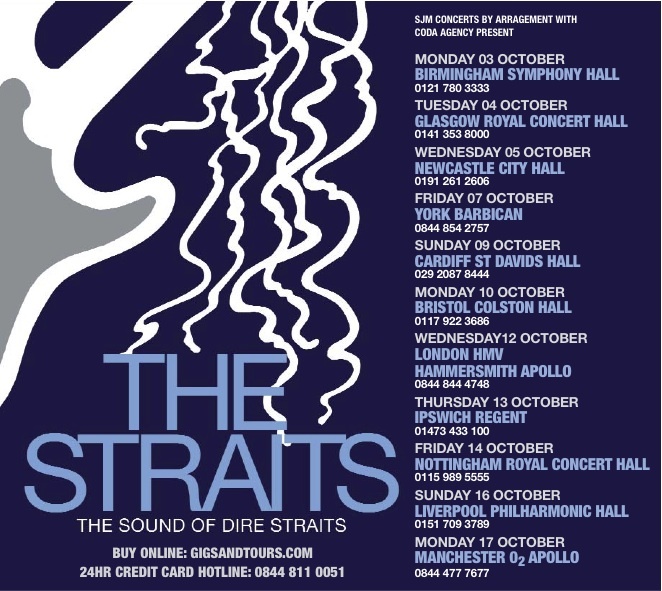 The Straits will be playing Dire Straits’ greatest hits for the first time in 20 years at this not to be missed special event. The one off gig is in aid of The Lord’s Taverners – “Giving young people, particularly those with special needs, a sporting chance”. The Lord’s Taverners is the official Charity of recreational cricket and the UK’s leading youth cricket and sports Charity. The charity focuses on youth cricket in disadvantaged areas as well as offering sports and recreational equipment for young people with disabilities and special needs. During Dire Straits career they sold 120 million albums worldwide, received three BRIT Awards, four Grammys and two MTV Music Awards. – This is an extremely rare opportunity to see their hits played live in the beautiful surrounds of The Royal Albert Hall. Alan Clark – Formerly a member of Dire Straits – and the longest standing in today’s Straits line up – Alan joined Dire Straits in 1980 as their first keyboard player. Phil Palmer – Phil joined the band on the – “On Every Street” tour playing the guitar. Phil has worked with several other well know artists including Eric Clapton, Bob Dylan, Sting and Roger Daltry. Chris White – Chris provided, and is best known for., his saxophone sound with Dire Straits. He played on two world tours and on the “On Every Street” and “On The Night” albums. More recently Chris has guested on two of Mark Knopfler’s solo albums. Steve Ferrone – Acknowledged by his peers as one of the world’s greatest drummers, Steve first came to the world’s attention with The Average White Band. He has also played with a long list of high profile acts including Tom Petty, Eric Clapton, Quincy Jones, Scritti Politti, Chaka Khan and Slash. Terence Reis – Reis was handpicked as the front man for The Straits for his voice with elements of Knopfler, JJ Cale and Steve Earle, and his guitar technique that’s remarkably similar to Knopfler’s own. Mick Feat – An internationally renowned bassist, Feat has worked with many different artists over the years including Mark Knopfler, Art Garfunkel, David Gilmour, Van Morrison and Justin Haywood. Jamie Squire – At just 24 Jamie is the youngest in The Straits line up – a highly accomplished keyboard player and a youthful asset to the band!